Apply for rental and ownership homes in all locations except Cooper Towers. Once submitted, follow the instructions in the confirmation email to visit your profile and join waiting lists. Apply for age-restricted (62+) rental homes at Cooper Towers in Woodbridge. If you have already submitted a Pre-Application, request a link to your Affordable Homes New Jersey Profile where you can join waiting lists, view listings, and update your information. Click on the icon for information about units for sale and rent. Visit 211.org for a clearing house of resources. You can search by topic and zip code. The Rutgers Help NJ Resource Guide provides a clearinghouse of information about housing assistance. The Department of Housing and Urban Development (HUD) provides a list of rental resources. The Division of Aging Services’ Housing Options for Senior Citizens provides links to housing options throughout New Jersey. 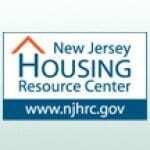 The Central Jersey Housing Resource Center is a nonprofit corporation that provides housing opportunities and home buyer counseling in and around Somerset County, New Jersey. The Social Service for the Homeless (SSH) program provides assistance to New Jersey residents who are at risk of homelessness, but are ineligible for Temporary Assistance for Needy Families welfare, General Assistance welfare or Supplemental Security Income. SSH can pay for emergency food or a motel or shelter stay for a limited amount of time. It also can provide rental, mortgage, utility, and security deposit assistance. This program, which operates on a 24-hour emergency basis, also includes referral services and limited case management. New Jersey’s Homeless Prevention Program (HPP) proves limited financial assistance to low- and moderate income tenants and homeowners in imminent danger of eviction or foreclosure due to temporary financial problems beyond their control. Funds are used to disburse payments in the forms of loans and grants to landlords and mortgage companies on behalf of eligible households in danger of homelessness. New Jersey’s Homeless Prevention and Rapid Re- Housing Program (HPRP) provides temporary financial assistance to prevent households from becoming homeless and help those who are experiencing homelessness to be quickly re-housed and stabilized. A list of agencies that participate in this program is found on this website. Interfaith Neighbors’ rental assistance program is designed to help low income families avoid homelessness or recover from the unfortunate circumstances that caused them to become homeless. The Affordable Housing Alliance (AHA) provides resource referrals for financial assistance for paying rental arrears to avoid eviction. The Modification Program of the Homeowner affordability and Stability Plan helps homeowners who are struggling to make their mortgage payments by encouraging lenders to modify/refinance eligible mortgages to produce affordable monthly payments. Montgomery Township, Stafford Township and Freehold Township offer down payment assistance. Click on the Ownership Location Links on this website for more information. The First Home Club (FHC) is a first-time homebuyers program that provides a subsidy to assist low and moderate income households overcome the financial difficulties of purchasing a home. The program provides households with $4 match for every $1 of savings (a grant up to $7,500) that they systematically deposit in their dedicated account. PSE&G provides assistance with utility bills. NJ Shares assists New Jersey households who have fallen behind on their energy bills due to a temporary crisis. HUD sponsored Credit Counseling Services provide a wide array of services throughout the State of New Jersey. Consumer Credit Counseling Service of New Jersey provides a variety of series including credit counseling and debt repayment programs. The Faith Fellowship Community Development Corporation also provides home ownership and credit counseling, as well as home buyer assistance programs. New Jersey residents are entitled to one free credit report each year. For more information on discrimination or if anyone feels they are a victim of discrimination, please contact the New Jersey Division on Civil Rights at 1-866-405-3050 or here. The Healthy Homes Maintenance Checklist published by the National Center for Healthy Housing provides recommended home maintenance tips. CGP&H is a New Jersey Department of Community Affairs approved Affordable Housing Administrative Agent. We manage waiting lists and income certify applicants for sale and rental affordable housing opportunities throughout New Jersey. Our staff is dedicated to assisting very low, low, and moderate income households find affordable housing in a fair and respectful manner. Since the need for affordable housing far exceeds the availability of affordable housing in New Jersey, we take great care to make sure each applicant is given equal treatment and meets all affordable housing requirements. For more information about other services provided by CGP&H, please click here to visit our main company website. Click here if you do not have an email address. If you have already submitted your Preliminary Application, you can visit your Affordable Homes New Jersey Profile anytime to join waiting lists and view our listings. Enter your first name, last name, and email address below to request a link to your Affordable Homes New Jersey Profile. To ensure we match you to your profile, please provide the exact information you submitted on your preliminary application. Added in April 2019 – You can now join the Hightstown & Saddle Brook rental waiting lists from your Affordable Homes New Jersey Profile! Join the Livingston ownership waiting list by 5/6/19 to be included in the first lottery. 2 single family Habitat homes and 2 condos at Forest Park Commons will be available for purchase! Join the Ocean (Monmouth) rental waiting list by 5/13/19 to be included in the next lottery. 11 new affordable rentals will be available. Join the Edison rental waiting list by 5/22/19 to be included in the next lottery. 33 new affordable rentals will be available at Camelot at Edison.